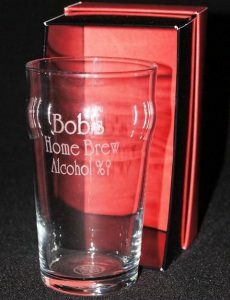 Our Tulip Pint is a classic glass that many have favoured over the years. 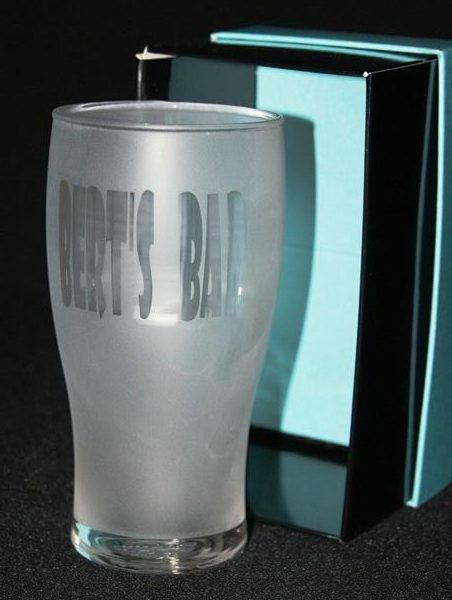 This glass holds 570ml and stands at 16cm in height. 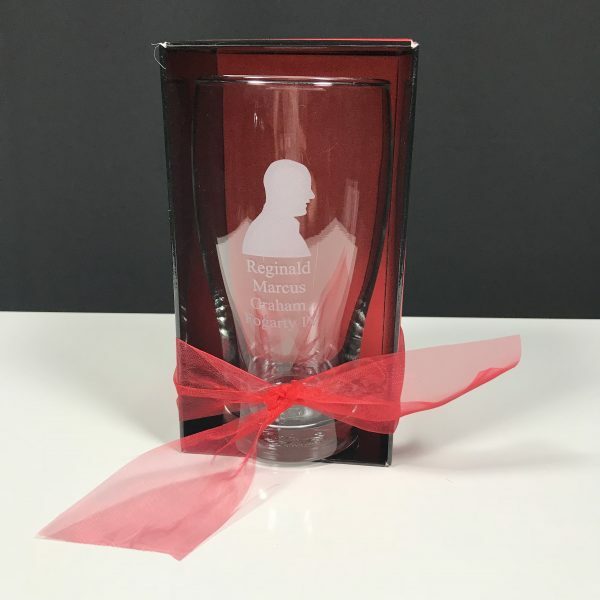 Team up with our fonts and graphics, select your design preference clear etched or fully etched frosted look. 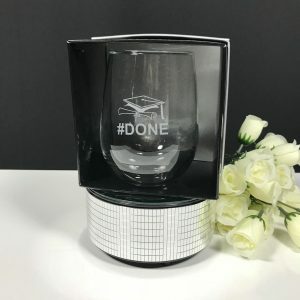 Compliment with optional gift boxing to present your gift. 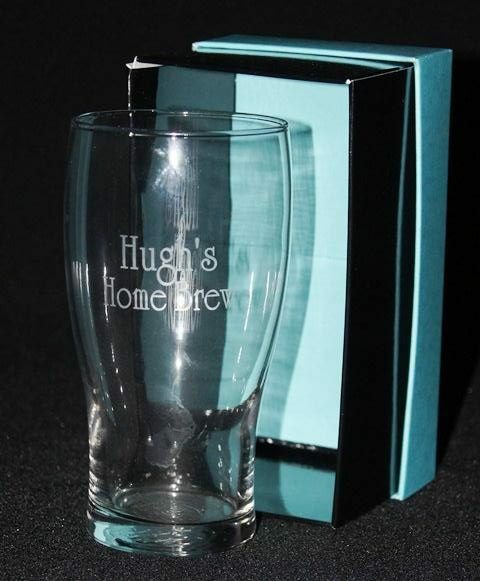 The Tulip Pint glass stands at 155mm in height and holds 570mls of beer. 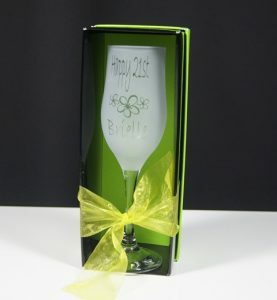 This glass can be ordered fully etched with clear writing and clear with either gold silver fill. Our glasses are etched and unlike laser engraving it is soft to touch not rough and its 100% permanent. 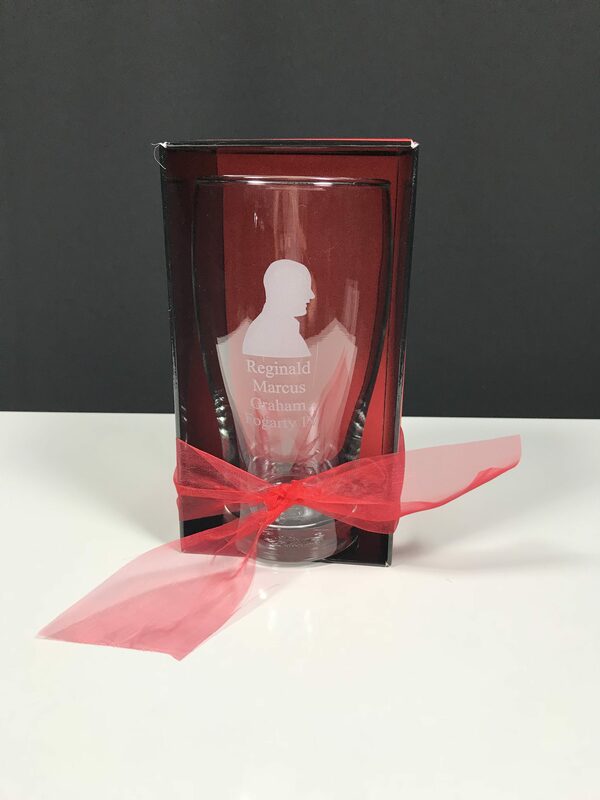 Choose your preferred font and graphic from the drop down menu’s above and before you know it you will have designed your very own personalised glass. Please allow 7 days for production once the art is approved, we will send you an email to confirm dispatch. Please note all of our deliveries are guaranteed if your glass arrives broken we will gladly replace.